I was reminded of Karl Barth, when I passed by Popular Bookstore on the way to the seminary. 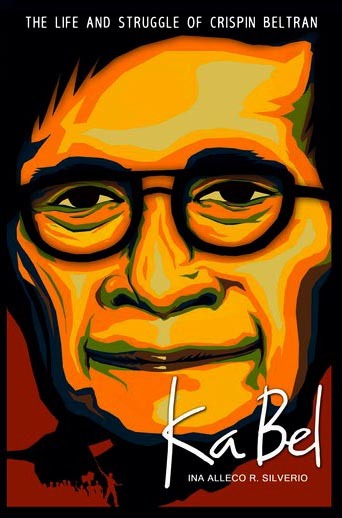 There was a huge tarp poster with a posterized profile of the late labor leader, Crispin Beltran, that somehow resembled the face of Karl Barth. ...years later the fashion industry would co-opt the symbols of leftwing radicalism and use the same faces on t-shirts in order to market the supposed ‘rebellion’ of those revolutionaries and what do we eventually get? Kids, wearing Che Guevarra shirts believing that it was Bob Marley! Pepe Jeans, Mao scarves! All that I Am Ninoy yellow apparels and whatnot! And that doesn’t stop there! Everywhere we now seemed to be defined by our assumed individuality that is manifested on the things we buy, I mean the same thing goes even for the anarchist/punk subculture as its do-it-yourself ethic has eventually been replaced by a punk rock shopping spree at Hot Topic! Regardless, t-shirt iconography seems to invoke passion and revolution in people, as the cliche goes: we are what we wear. Probably it is because the faces in the t-shirts are the faces of people who in one form or another the people that we want to be, or are a part of that pivotal point in our lives that somehow determined the way we are now. Because t-shirt icons are symbols in much the same way that words are nothing but symbols. Words and pictures are in a way very much the same. They are just representations of thoughts or memories to be exact. Together they are basically nothing more than mere specters of things that have come and gone in our lives, they are but a means to connect us to what we were in the past. Perhaps, the images of revolutionaries invoke in us that point in our lives when we believed in something --when our imagination was captured by something that is way beyond us. 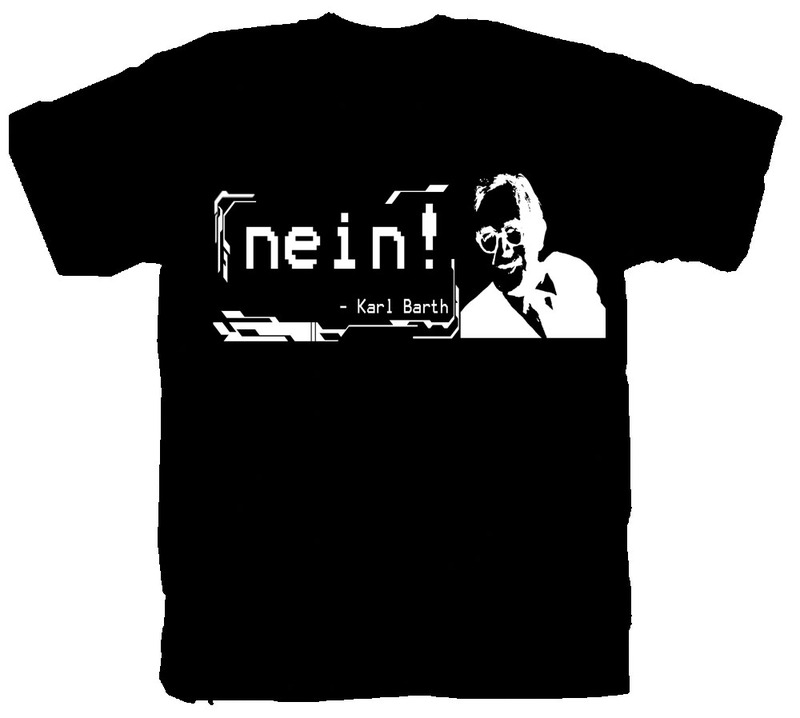 That’s why here I would like again to invoke the radical in me with the image of the Swiss theologian Karl Barth, as I try to make my subversive stance against contemporary Christian Evangelicalism that have often blogged about. In the sense that it often fails to make sense or at least be sympathetic of the plight of the world and more importantly of human beings that are caught in the web of unexplainable suffering that are brought about by the social implications of sin that they are not guilty of. As well as its over-adherence to John Calvin’s fatalistic theology of Predestination and Election that seem to enjoy the same stature of Scripture in the psyche of contemporary Evangelicals like John Piper. It is out of this frustration that (for better or worse) I was led out to venture into what is labeled as ‘liberal’ by born again Christian standards1. Out of that journey came my encounter with the great Swiss Reformed theologian Karl Barth whom critics hold as one of the greatest Christian thinkers of the previous century. 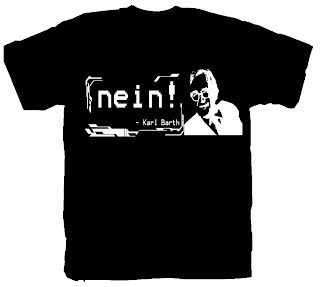 But since this is a blog post about t-shirt prints of theologians I would reserve the space to a favorite blogger/author: Kim Fabricius who (as always) have done a brilliant job of articulating the reasons why I owe much of my theological/spiritual formation to Karl Barth whose commentary on the Epistle to the Romans serendipitously was made available to me at a time when I was almost about to give up on Christianity. Hence you can click here to read Kim’s propositions on Karth Barth: theologian! As for me hope you’ll find the t-shirts revolutionary as I find it also central in Barthian Christology that the Wholly Other God entered human history and became near in the person of His Icon --Jesus Christ the only one who is perfectly coordinate with God – because He is God, thus when we see Jesus, we see God. 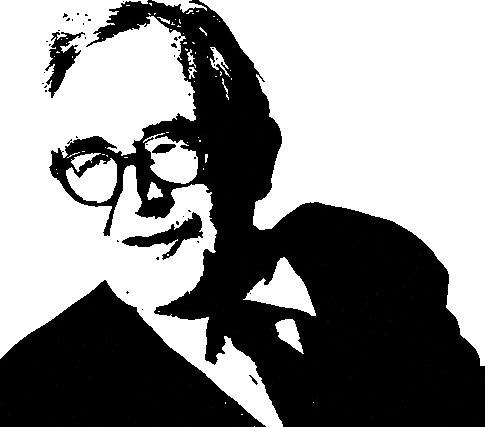 1 Common Evangelical Christians or Born Again Christians are quick to label those outside their tradition as liberals although in Barth’s case they forgot to note that historically Barth, as well as Brunner and Bultmann fought against liberalism during their time thus making the classification of them as liberals a misnomer.